It has a classic and chic design that would make it a great everyday tote to carry around. I wouldn’t hesitate for a moment to carry this to a dinner date should I need to! Danier has a great selection of bags, handbags, purses and totes! Perfect for the bag-lover on your holiday list! I have a special obsession with classic leather totes and they often end up on my “Bag Love – My Guilty Pleasure” Pinterest board. 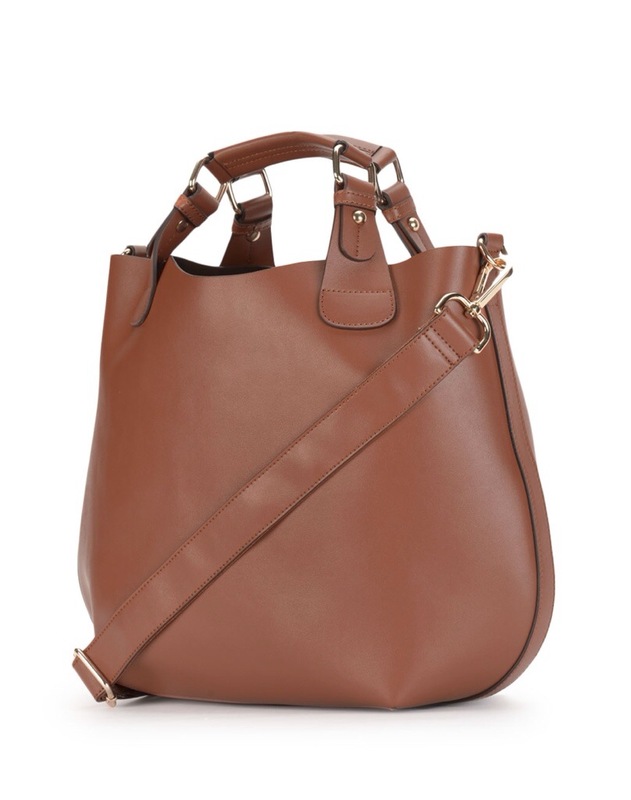 Your Danier tote choice is similar to one I recently fell in love with (and secretly purchased – sshhhh). It’s a bit larger, the tan leather is buttery soft, and the lining is fun – https://www.etsy.com/listing/126334855/leather-handbag-tote-purse?ref=shop_home_active. It’s made in England, but arrived on my Toronto doorstep only 2 days after I ordered it on Etsy from The Leather Store, an independent label in the UK created by Beckie Sims who shares my love of handbags. Ten years ago I was waiting in an airport and spotted a similar tote by the feet of another passenger. I stealthily took a couple of photos and have been on the hunt since. I believe I just may have found my perfect bag! That’s a gorgeous bag! Thanks for sharing! But yes – I love bags especially ones in the colour like the one in my post! Next PostThe Curl Cam – Look, but don’t touch!